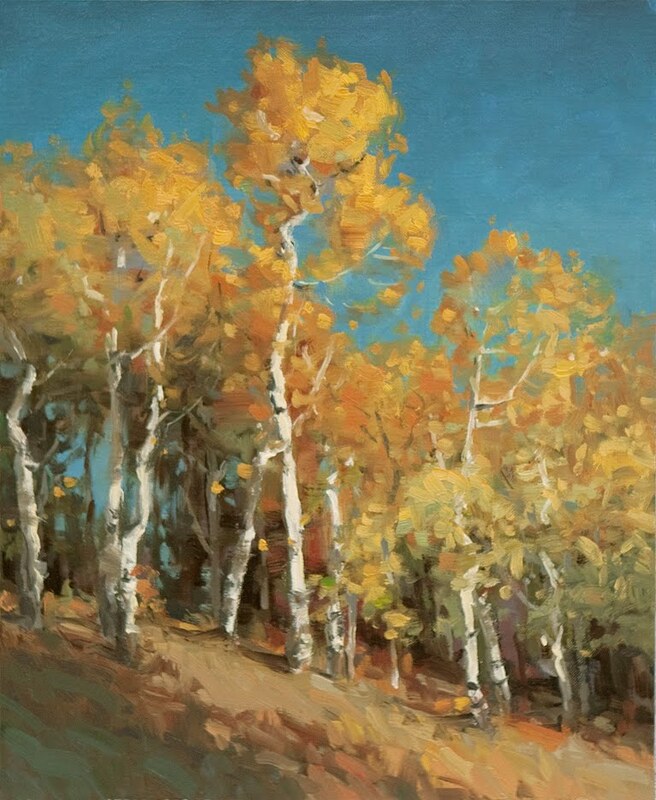 Painting fall colors, especially aspens are one of my favorite things. This small painting was painted from a series of studies I did in eastern Idaho a couple of autumns ago. 11x14, oil on linen.